SHIVPURI: Dacoit Chanda, who was member of bandit Chandan Gadaria's gang and was arrested in the past, has been admitted to the hospital. She has been brought here in police custody for treatment. Sources said that Chanda was ill and the policemen had to take her from jail to the hospital. The bandit Chandan Gadaria was killed in an encounter two years ago. She was member of her gang. Then, Chanda had managed to escape. She remained at large. Later, she was also caught. Now she is in jail. In a case that was registered against her, it was alleged that she had let her husband and joined the bandits. Barely in a couple of months when she remained with the bandits' band, she had drawn attention of the police. She said that she was married to one, Vir Pal. However, her father-in-law used to torture her. "When I got to get back to my home, my cousin brother Chandan would come to meet me. I told him about torture and he got sympathetic. He told me to get into the gang." 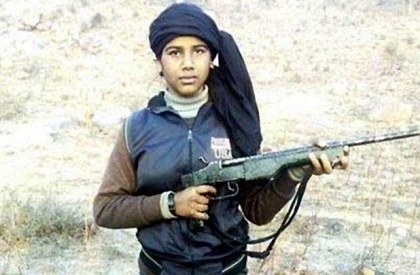 Police says that she was initially told that if she joined the gang, she would be as popular as Phoolan Devi and will no longer have to lead a life of misery. “She was told that abduction for ransom was a sure shot way to make money and hence she joined dacoits”, police add. After arrest, she has been in jail. When she fell sick, she was brought for treatment in the district hospital. In the hospital's ward, she has been kept amid security. The policemen have been deployed outside. Chanda had been a member of the dacoit Chandan Gadaria's gang.